"Web View for Instagram™" aims to provide an easy method to check instagram.com without the need to switch tabs. This application has different behaviors in different browsers. In Chrome, instagram.com is loaded inside a sandboxed window but in the Firefox version, contents are displayed as a toolbar panel. 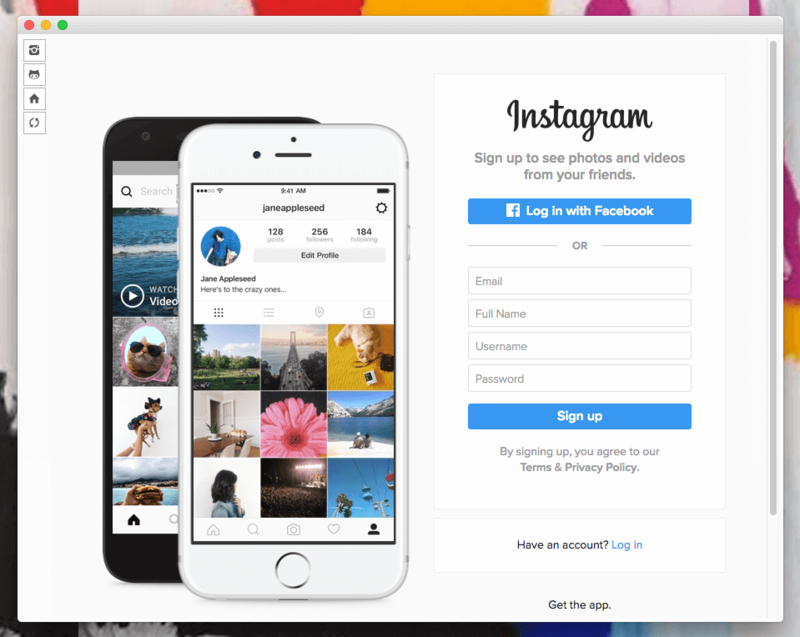 Please note that this is not an official application and the sole purpose of this application is to provide an alternative way to access instagram.com web UI. There is no intention on misleading users that this is an official application. What is the "Web View for Instagram™" add-on and how can I use it? This application aims to ease Instagram access by providing panel view (in Firefox) or popup view (in Chrome). Instead of switching tabs, using this application, you can have access to this online service. Badge text is equivalent to the number shown in the title bar. It is meant to alert user that there is a new post on instagram.com. Open the toolbar panel. In the left side, there is a refresh button. Press the button and wait for a few seconds for the badge to calculate the number of unread posts. You can open instagram.com web, FAQs page or the bug reporter directly from the panel. Also you can refresh the panel. If you need a new feature post a bug report and I'll try to add this it in the next release.